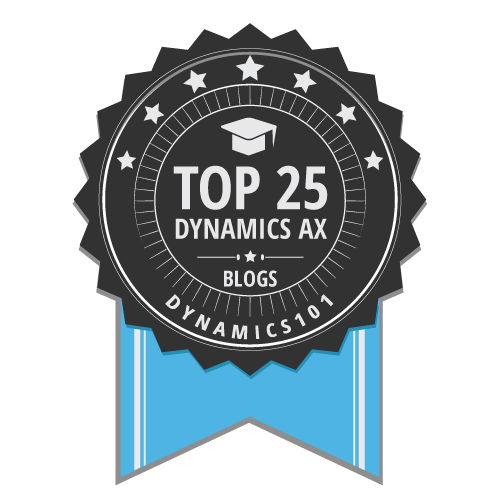 Dynamics AX = Denis Macchinetti: AX 2012 - One or more conflicting model elements already exists in an installed model. How to know the conflict element. AX 2012 - One or more conflicting model elements already exists in an installed model. How to know the conflict element. How many times during a model installation you faced the error "One or more conflicting model elements already exists in an installed model."? In order to install the Models usually I prefer use the Powershell command, like Install-AXModel with "-verbose" option just to see more details in case an error. Unfortunately the "-verbose" option do not help us to find the element in conflict. Instead, using "-verbose" option together with AxUtil resolve our issues. In this case is showed the element name that generate the conflict. Very useful and informative article you have been provided to us.Thanks for sharing such a good article and sharing your knowledge with your users.